Glass elevators can be an awesome addition to a home. The reasons for this are both stylish and practical. This is about having what you want in a home elevator. From a practical standpoint, the glass elevator is terrific, especially for people who have limited mobility. 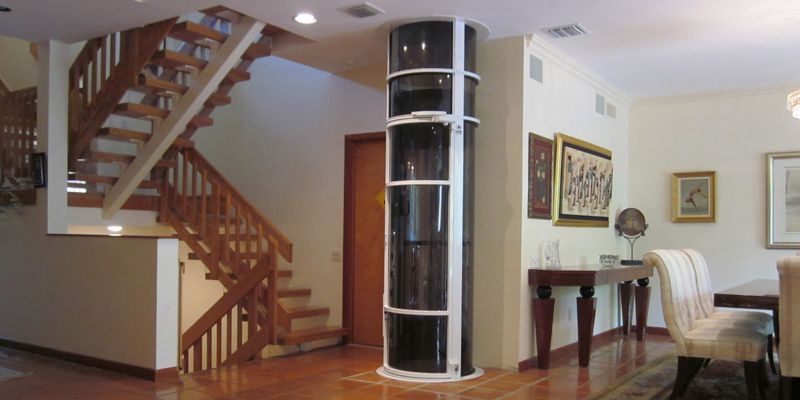 Glass cable elevators can be easily installed in a home. Some come in an octagonal design and have a weight limit of more than 700 lbs. A glass pneumatic elevator is perfect for a residential elevator because of its design and simplicity. A glass pneumatic elevator uses a vacuum system that moves the elevator cab up and down between floors. This vacuum system safely lifts the cab up and brings it back down. A brake system stops the elevator cab at the desired floor. One of the great practical applications of a glass pneumatic elevator is that a pneumatic elevator can fit in most homes. The installation is not nearly as involved as a traditional elevator with a wood cabin. There is no need for a hoistway or installation room. Glass elevators deliver mobility and convenience to a home, while looking great. The clear cab offers a "fun" elevator experience, as the passenger is able to enjoy a panoramic view while riding in the elevator. 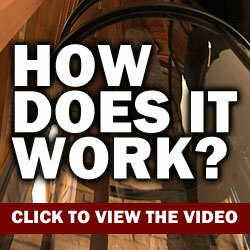 Nationwide Lifts understands the importance and benefits of a great glass elevator. Nationwide Lifts offers a full line of Vision Elevators. 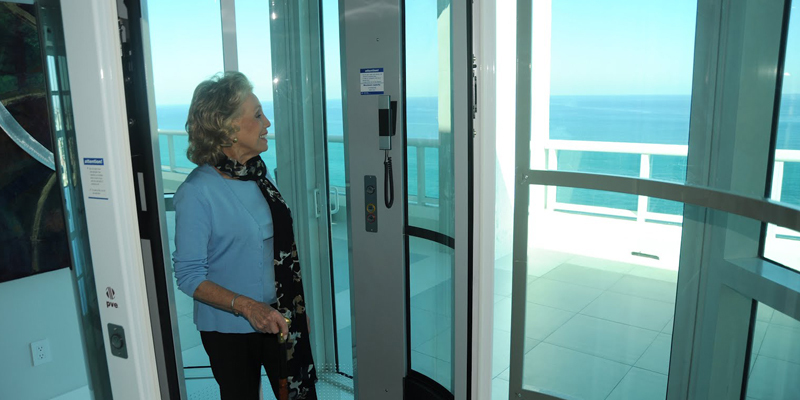 Choosing a glass elevator from Vision Elevators means choosing easy operation and improved accessibility.